Is Marvel Planning Another Villain Besides Thanos in ‘Avengers: Infinity War’? With eyes firmly set on the future, Marvel Studios is planning big for the grand event that’s been teased since the bumper scene featuring Thanos at the end of The Avengers. With the filming of Avengers: Infinity War Parts 1 & 2 set to take a whopping nine months (!) to film, it’s no shock that Marvel wants to get all their ducks in a row. So it only makes sense that Marvel is looking to cast the other bad guy that joins Thanos in the giant epic right about now. Adam Warlock’s bad side, the Magus, separates from his body and assembles the Infinity Gauntlet. Magus creates doppelgangers of Earth’s heroes as part of his plan to recreate a universe of evil. 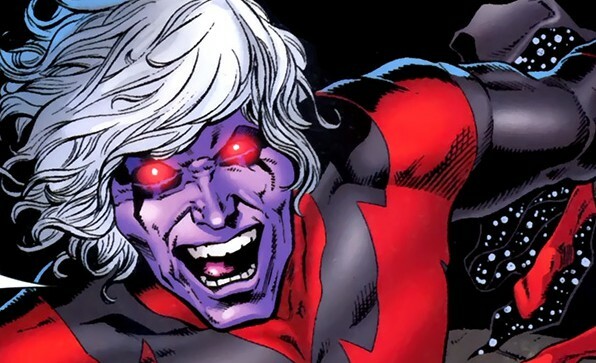 Adam Warlock is a niche fan favorite comic character that has been asked about since Marvel went cosmic with The Avengers. Many fans thought he’d get a shout out or appearance in Guardians of the Galaxy, but that didn’t come to fruition. I’m going to call a bit of shenanigans on this. Could they introduce Adam Warlock in the upcoming films and give fans a chance to get to know him so that when he turns bad it’s more of a gut punch? Sure, but the only film that makes sense is the Guardians of the Galaxy sequel. Could they do that in one movie? James Gunn made us care about the entire team of Guardians in a little less than two hours, so if anyone can do it he can. But he would probably need to sacrifice some of his story to do this. And from what Star-Lord himself Chris Pratt has been saying about the script, it’s perfect as is already. Another thing that nips at me is the wording. Why include the name of the character? He’s obscure so only real big time comic geeks would probably recognize the name. Maybe they did it to give potentials a chance to read up on who they’d be playing? Sure, makes sense – but since this character hasn’t even made his feature film debut yet you’d think Marvel Studios would probably want to keep this info a little more under wraps. While it would be cool to see The Avengers fight evil mirror versions of themselves, it seems a little too far-fetched for me. For now, I’m filing this under RUMOR until we actually see the Adam Warlock character get introduced on celluloid. We’ll know for sure when Avengers: Infinity War Part 1 hit theaters in November 2018. This entry was posted in Breaking News, Film, Marvel and tagged Avengers: Infinity War, Magus, Marvel, MCU. Bookmark the permalink. Jason Statham Confirmed for ‘Fast and Furious 8’!